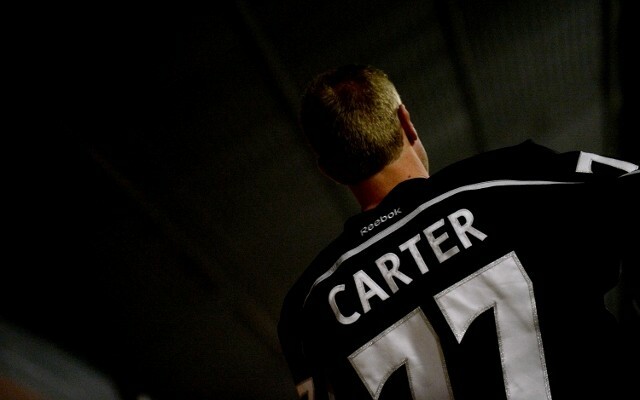 Jeff Carter took the ice at the end of the Kings’ morning skate at Toyota Sports Center and shared some general thoughts of rehabilitating a foot that was broken in overtime of the team’s 4-3 win over the San Jose Sharks on October 30. Though his appearance on the ice represents a step forward in his progress, there remains no timetable on the forward’s return. 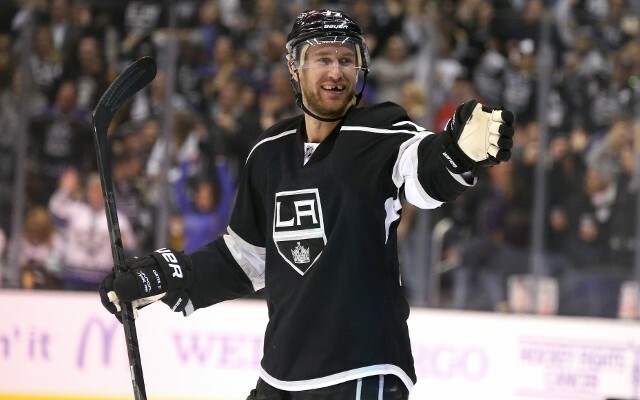 The Kings are 5-1-1 in his absence. Yeah, it’s nice. It’s been two and a half weeks, so I’ve been sitting around and basically waiting. So it’s nice to get back. It was a lonely week without all the guys here, so it’s nice just to get back into that kind of atmosphere. The guys played great. Obviously with Quickie going down at the start of the big road trip, it was a huge loss. I thought Scrivvy obviously came in and played great for us, and the guys kind of rallied around him. Obviously, two shutouts in a row, they’ve really tightened up our game. I wouldn’t say they ‘made it easy’ for Scrivvy, but they’ve helped out a lot, and Scrivvy made the saves that he had to, so it’s going well. It’s part of the game. Obviously you don’t want to miss any games. But it’s the way it goes sometimes in sports and hockey in general. There’s really nothing you can do about it. I guess when you’re out, you try to be there, be a positive influence around the room. It’s about all you can do, really. Be a cheerleader. It is what it is. We see them twice a year now, so I’m not really too worried about who I’m playing and who I’m not playing.